This week we feature an extremely technical and equally competitive match between two highly decorated competitors, Lucas Lepri and Roberto “Cyborg” Abreu. Even though Lepri is a light weight and Abreu is an ultra heavy weight, Lepri’s superb timing and amazing technique was able to overcome this weight differential. You’ll love this exciting match! 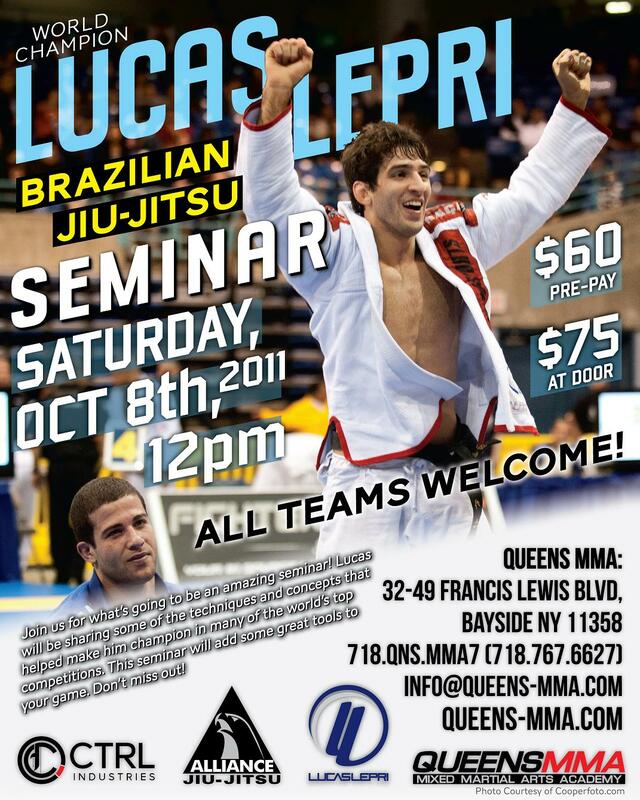 Also, if you are in the metropolitan New York area, Lucas is conducting a seminar at Queens MMA [32-49 Francis Lewis Boulevard Bayside, NY 11358 (718) 767-6627]. 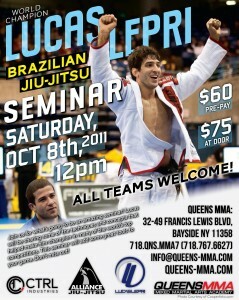 DON’T MISS OUT ON A GREAT OPPORTUNITY TO LEARN AND TRAIN WITH THIS CHAMPION! Space is limited to only 25 PEOPLE!